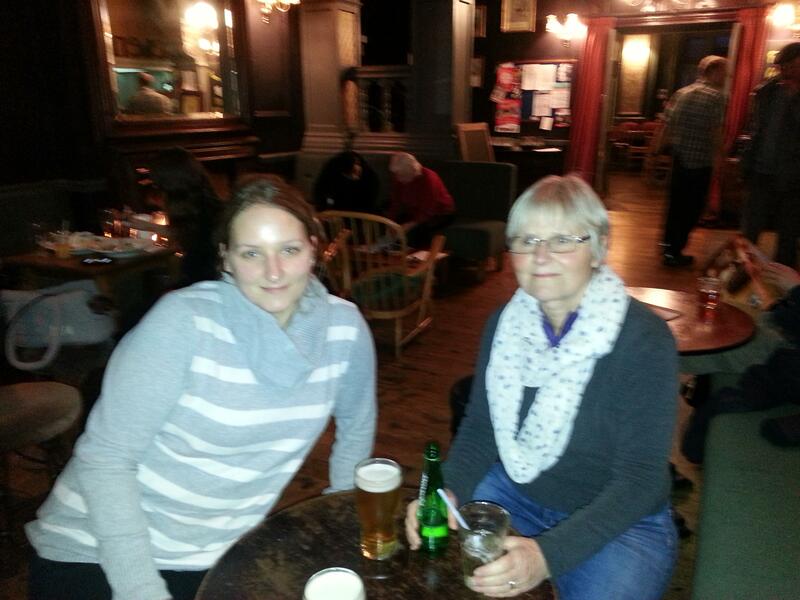 We are in London for the evening and enjoyed a very English evening with Andrea – a drink at a pub, followed by a great curry. The weather also played to role, cold, windy and rain. Great fun anyway. 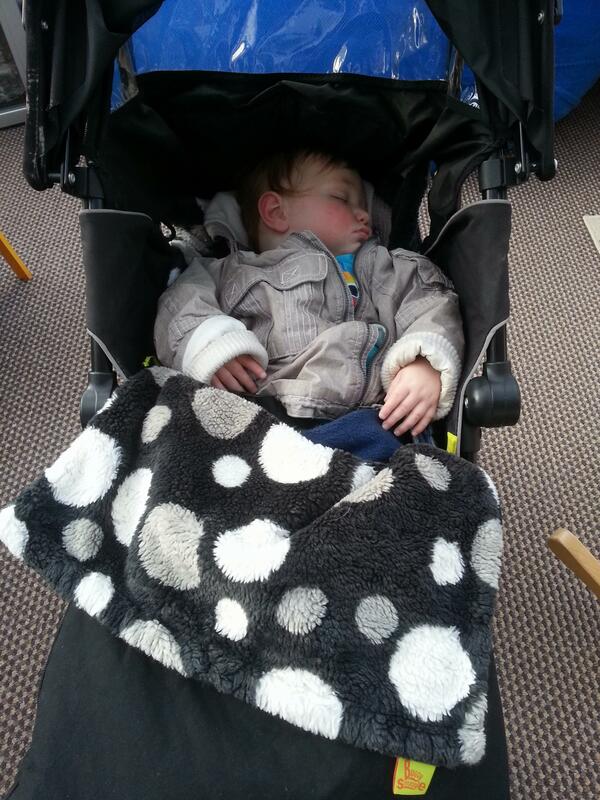 We are in Manchester now enjoying a visit with the grandchildren, and their parents of course. They keep us busy, so a break when they take a nap is rather welcome. 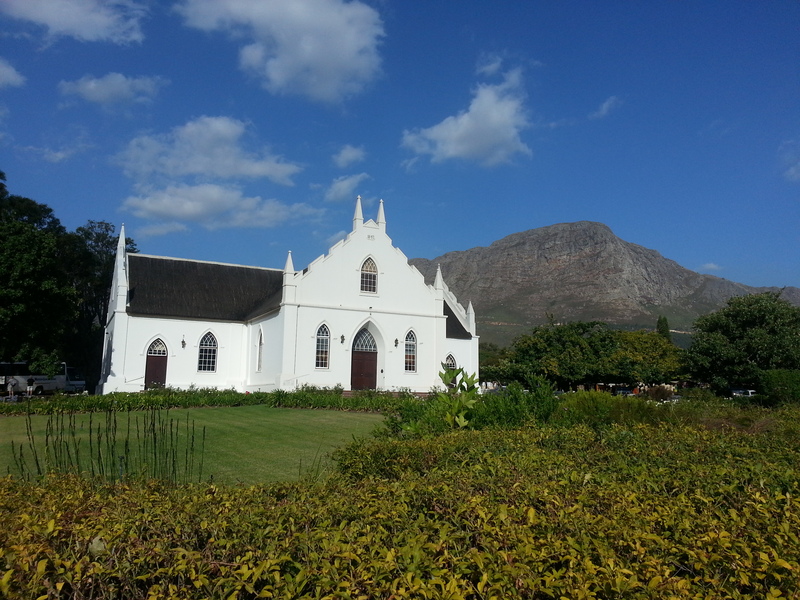 We really enjoyed Franschhoek and Stellenbosch with excellent food and nice wineries. Today we went way south to the Cape of Good Hope. Very impressive. This evening we are in Scarborough, a small beach community south of Cape Town. Tomorrow we go back to a cold Europe. We moved on today; almost back to Cape Town. Tonight we are staying in Franschhoek, a rather touristy town that capitalises on its French (Huguenot) history and surrounding vineyards. Very civilized, excellent wines and we are booked for dinner in the Tasting Room, which many people consider the best restaurant in Africa. We look forward to the experience. After a very early and exciting game drive this morning, we left Addo Park and drove West again to the Swartzberg area. We are now in Prince Albert, a picturesque and friendly town. Our guide book warns that one could get the impression that the locals all took a valium, my impression is that they might have overdosed a bit. Nevertheless, I found a cold beer, the B&B we are staying in is lovely and dinner is arranged. Our guide parked the Land Cruiser right next to the seventy-year-old matriarch of a herd of elephants this evening. She’s a lovely elephant and didn’t let us stop her from munching away at the acacia tree. We then had drinks and snacks around a table surrounded by sixty elephants, who kept a respectful distance of ten meters, except for some young ones who mock charged. We did pack up a little hurriedly, but then saw a black rhino. Very rare! On the way back we also stopped to disturb a very impressive lioness trying to catch her dinner. I hope she finds it, where we saw her is only about two hundred meters from our bedroom. We also saw warthogs, lots of antilopes, birds of prey and other stuff. 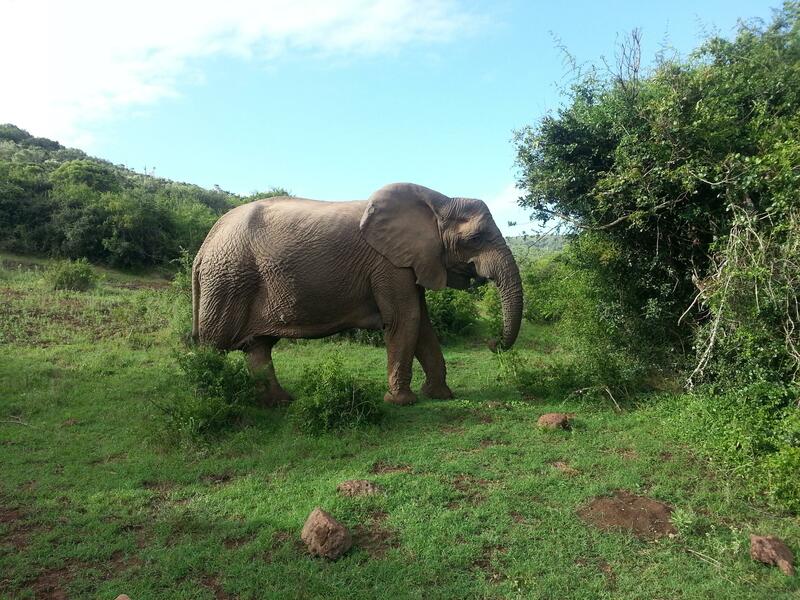 We are spending three days in the Addo Elephant Park, looks like it will be exciting. This morning we walked around the peninsula of the Robbenberg Nature Reserve. Fur seals, ancient rocks and remnants people left 5,000 years ago. The weather also turned a bit wild with thunderstorms and gale force winds. Before it got too bad, we retreated to Enricos, for very fresh fish. Now there is a big rain storm outside, but we are sitting in front of a fire in our treetop villa. Very nice. 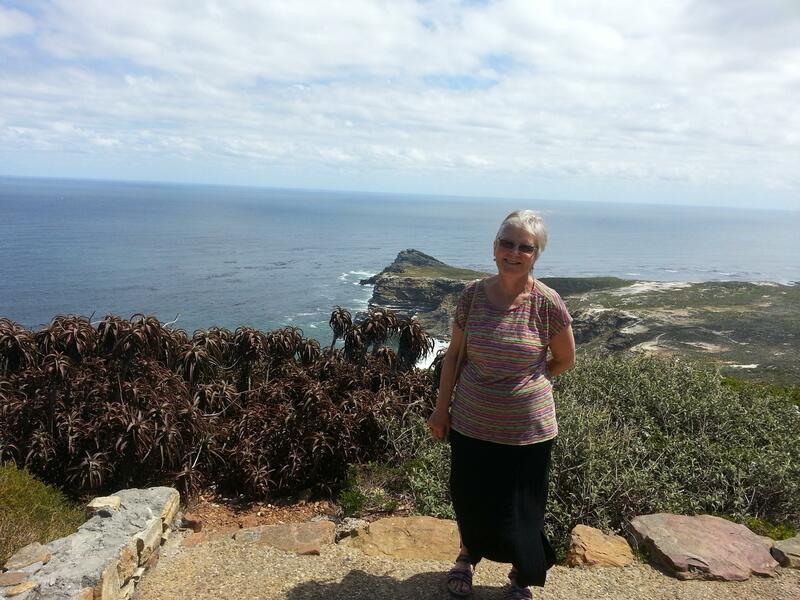 I have posted some pictures from Cape Town and the Karoo in the picture section of this website. 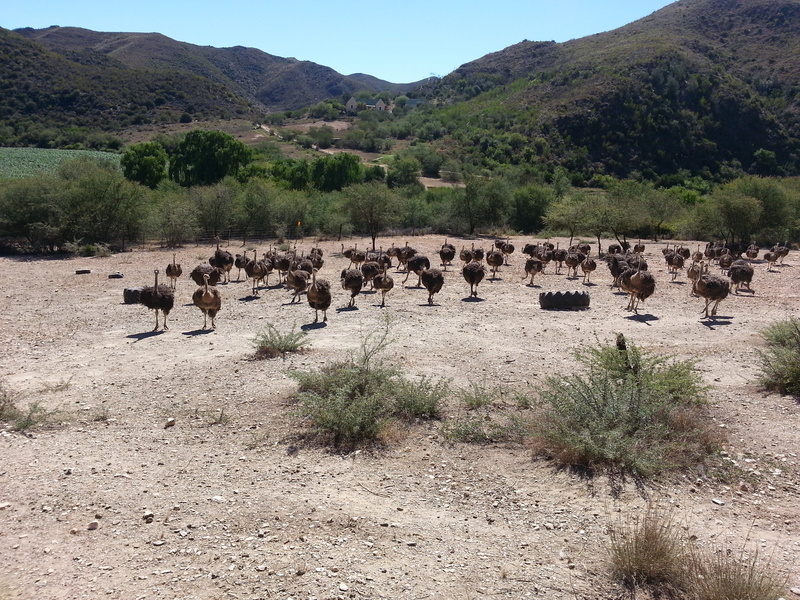 We left all the wild animals today and drove into ostrich country near Oudtshoorn. For a few days we will be in a country B&B, off the grid, no cell phone, very occasional WiFi. Wonderful setting, great views and very friendly hosts, though. We spent the last two days in a walking camp in the Karoo, about three hours East of Cape Town. There we took long walks in hot and sunny weather, sat around a camp fire at night and watched lots of animals. Now we are recovering in a luxury campsite with running water and an excellent kitchen. We have seen elephants, lions, giraffes, rhinoceros, cheetah, many different antelopes and a large assortment of other wildlife. When walking we “stumbled” across cheetahs and rhinos, but interestingly, it is easier to get close when in the jeep. The elephant in the picture was about 2m, the giraffe 3m from my seat.